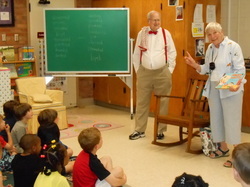 Sally Derby spoke to children about writing, journaling, and getting ideas for stories. 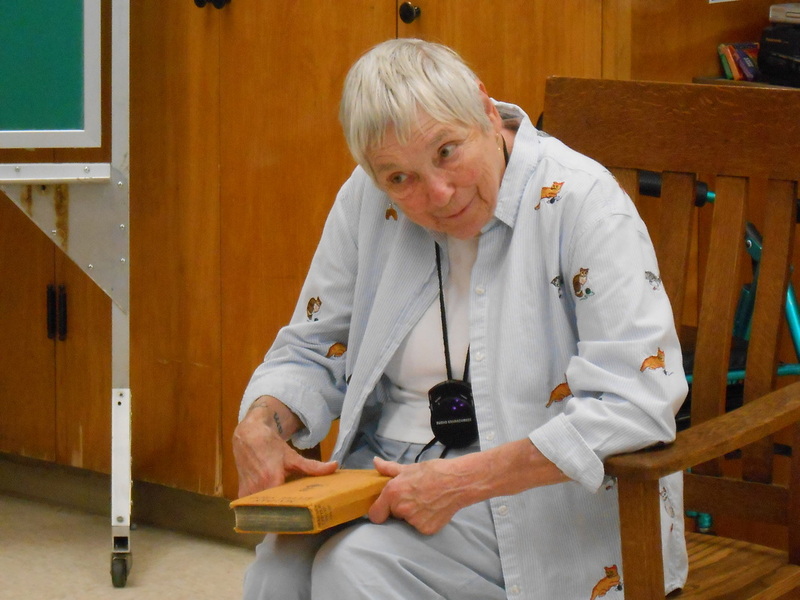 She read some unpublished material, and even brought along The Wacky Substitute! 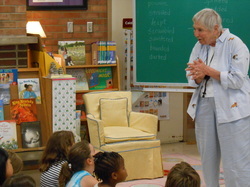 Thank you for visiting, Sally Derby! 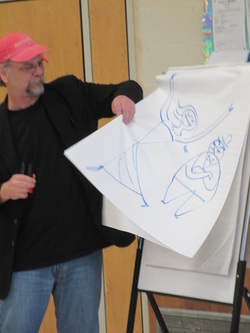 Bob Staake, illustrator and author of over 60 children's books, paid a visit to Vermont School at the end of April. He read his newest book, Bluebird, a wordless book about friendship and bullying. The illustrator drew pictures from his imagination, based on volunteers writing their initials on a page of paper. He encouraged the kids to be creative. We were so glad to meet him!